Kalamunda Hotel | QuizzaMe Live Game Show Wednesdays! 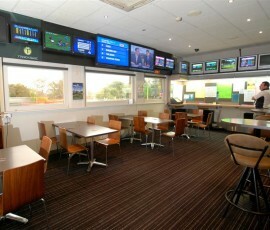 Kalamunda Hotel now brings you all the colour and excitement of QuizzaMe trivia every Wednesday night! Plenty of fun for the whole family at one of the best pubs in the region. Come along and enjoy a fantastic meal and a drink while taking on the challenge of QuizzaMe. QuizzaMe is a fully interactive experience. Bring your friends to form a team. Enjoy some great brain teasers and plenty of laughs. Hold the event in the palm of your hand with the fantastic QuizzaMe buzzer. There’s no need to worry about pens and paper at this completely modernised event. Make sure to answer as quickly as possible. A correct answer that is entered quickly will add even more points to your score! All questions are all multiple choice. If you don’t know the answer just have a stab. Enjoy the night with our Quiz Master who will help guide you through all the fun of this fantastic night of trivia. Expect to take on a full range of questions, from history and sport to literature, movies and music. Just to name a few. Bring the whole team for a full quiz show experience. Kalamunda Hotel will be giving away some fantastic prizes on the night. Factor in a bit of time to grab a meal from the bistro before you and the team take on the trivia questions. Bring the kids as well, there are some fantastic kids meals on offer. Put the team together and head to Kalamunda Hotel on Wednesday night and don’t forget, it’s free to play!